A vehicle of interest is being sought in two drive by shootings that occurred within minutes of each other on August 5th. 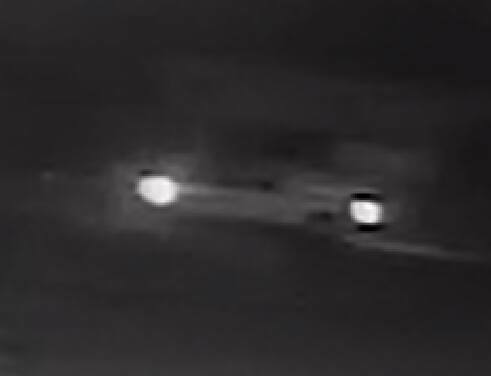 The Fannin County Sheriff’s Office and Georgia Bureau of Investigation are searching for a suspect or suspects in two drive by shootings that occurred at approximately 2am on August 5th in the north portion of Fannin County. FYN spoke with Officer Turner today, August 7th, who told us investigators are asking for the public’s help in identifying a vehicle of interest. Authorities have a video of a newer model white pickup truck with some type of dark writing on the driver’s side. The truck has a ladder rack and/or a toolbox. The truck was traveling in the area of Blue Ridge Drive at approximately 1:45am on August 5th. Authorities have sent us a still copy of the truck and have asked anyone with any information to please contact the Fannin Sheriff’s Office at 706.632.2044. Authorities would like to know the driver of this truck. FYN will update as new information becomes available.